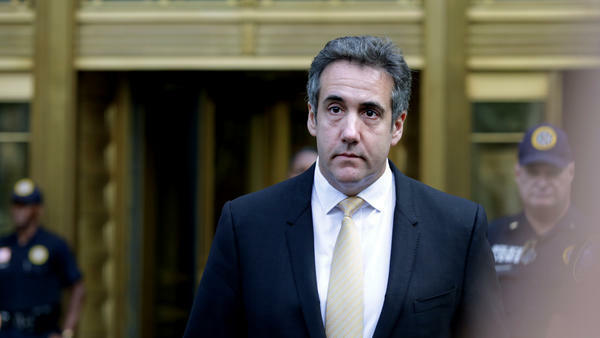 For more on Michael Cohen's guilty plea, we are joined now by his attorney, Mr. Lanny Davis. Thanks so much for being with us this morning. LANNY DAVIS: Thank you for having me - very important 24 hours we just experienced as a country. MARTIN: Indeed. So I'm going to start off with a basic question but an important one. Why did your client, Michael Cohen, decide to plead guilty to these eight charges? DAVIS: Well, that's a long pause because I know the pain he and his family and his children have gone through leading up to the moment where he decided to do this. I think he recognized that he needed to step up to the line and take responsibility in order to - I'll use the phrase turn a corner and tell the truth from this point on about Donald Trump and his many years of working for Donald Trump, his concern about America having Donald Trump as president and his decision to turn a corner and tell the truth. MARTIN: So does that mean he was not telling the truth before? DAVIS: It means he could not speak under the shadow of a criminal investigation. I'm not allowed to criticize the outcome. He made the decision to plead guilty. And I have to respect the court and the prosecution, and that's done. But he made a difficult decision for his family, that he needed to do this in order to begin a new life. And the new life starts by telling the truth. MARTIN: The president's lawyer, Rudy Giuliani, has called your client a liar, saying that tapes of conversations between Michael Cohen and Donald Trump that were given to investigators, quote, "completely demonstrate the president did nothing wrong." What evidence does your client have to prove that Donald Trump directed him to make these illegal payments to influence the election? DAVIS: Let's quote Rudy Giuliani saying on the record that Donald Trump directed Michael Cohen to make these payments that are illegal payments because they had the principal purpose of affecting an election. Rudy Giuliani publicly contradicted the president of the United States, who lied on Air Force One, saying, I don't know a thing about Stormy Daniels. And then Rudy Giuliani contradicted him by saying, no, he paid that money to Michael Cohen. MARTIN: What about the broader allegation that Cohen is unreliable, that he is a liar, he's someone who can't be trusted? I mean, Cohen has just pled guilty to multiple counts of tax and bank fraud. Is he credible? DAVIS: There's no question it's legitimate to ask that question about the other counts that he pled guilty to. But note Mr. Giuliani and Mr. Trump will try to change the subject and raise his credibility about other issues that he pled guilty to. But let me repeat, on the campaign finance violation, a crime committed by the president of the United States, his own lawyers are the witnesses against him. So yes, they can raise credibility questions about the other issues. But on the issue of violating campaign finance laws, which is part of the corruption of our democracy, Donald Trump is guilty of a crime. And the president of the United States being guilty of a crime is far beyond what has been classically called impeachable offenses. MARTIN: Your client faces up to five years in prison. Is he going to provide information to the Mueller investigation in exchange for even more lenient sentencing? DAVIS: Not that I'm aware of. And I can't comment about Mr. Mueller and what he would say to Mr. Mueller. MARTIN: Although you have said that he would have interesting things to share that Mr. Mueller would find of use. DAVIS: Of interest. I picked my words very carefully. I have information from my client that I can't discuss and violate what's called attorney-client privilege. But I can say that I know that Michael Cohen decided to tell the truth, and that's the new life that he's now dedicated to. And when he tells the truth, if he tells the truth to the special counsel who talks to him - and I believe he will - he will have topics that, in my opinion, will be of interest to the special counsel in his Russian investigation and related topics. MARTIN: You asked this question after the guilty plea was made. If those payments were a crime for Michael Cohen, then why wouldn't they be a crime for Donald Trump? Is that your ultimate goal, to see that President Trump is charged? DAVIS: My ultimate goal - the president of the United States is a criminal. He has not pled guilty to a crime, but his own lawyers have described him directing somebody to do something that is a criminal act, which is to hush up his affairs with two women. And that's not what this is about. It's about his hushing up those affairs in order to influence the outcome of an election, part of the corruption of the election of 2016, which included - established, 100 percent certain - Putin interference to help Trump get elected by the unanimous judgment of the intelligence community. Only Donald Trump denies that. Only - there's nobody else that has - not - no member of his own party, no member of his own intelligence community who he appointed, his director of national intelligence. All say the Russians corrupted our election to help Trump. Only Trump says it's a witch hunt. And so the answer to your question is, he is a criminal by the words of his own attorneys in directing somebody else to do the act. And why didn't he sign the check to Stormy Daniels? - because he didn't want people to know about his role. So he not only directed a crime, he's part of a cover-up. 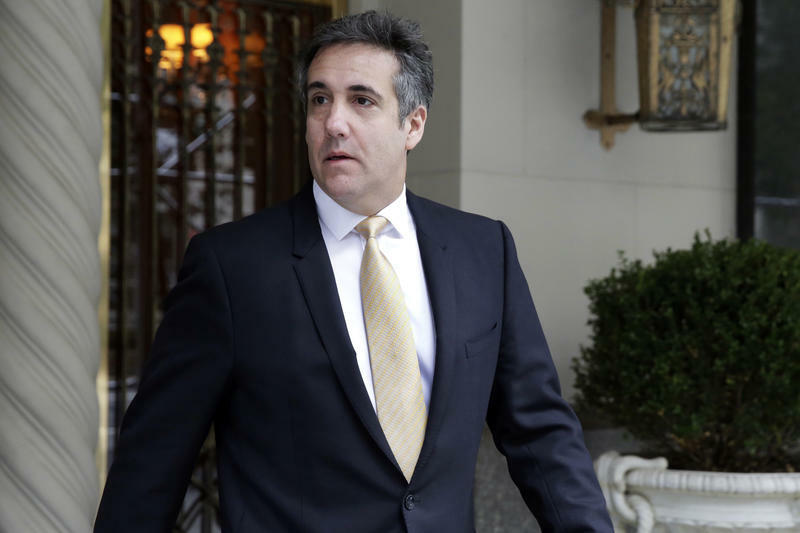 MARTIN: What conversations, if any, has your client had with the president or his legal team or have you had on his behalf about a presidential pardon? DAVIS: I don't know. I know that Mr. Cohen would never accept a pardon from a man that he considers to be both corrupt and a dangerous person in the Oval Office. And he has flatly authorized me to say, under no circumstances would he accept a pardon from Mr. Trump, who uses the pardon power in a way that no president in American history has ever used a pardon, to relieve people of guilt who committed crimes, who are political cronies of his, like the sheriff in Arizona who defied a court order, was clearly guilty and was given a pardon. Mr. Cohen is not interested in being dirtied by a pardon from such a man. MARTIN: Lanny Davis is the attorney for Michael Cohen. Thank you so much for your time this morning. DAVIS: You're welcome. Thanks for having me. (SOUNDBITE OF RECONDITE'S "LEVO") Transcript provided by NPR, Copyright NPR.